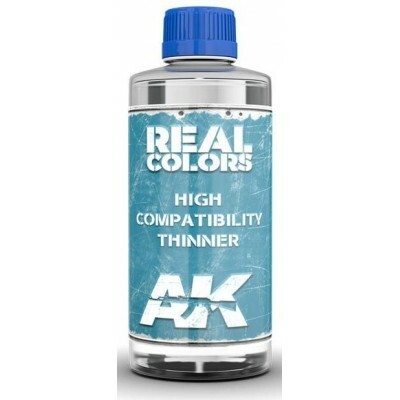 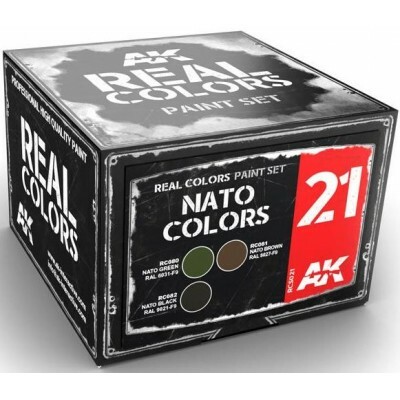 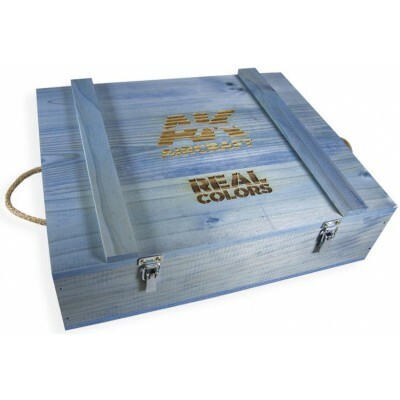 AK INTERACTIVE REAL COLORS Hay 12 productos. AFRIKA KORPS COLORS - AK Interactive RCS003 Este set incluye: RAL 7008 Graugrün (Green Grey) RAL 8000 Gelbbraun (Yellow Brown) usado entre the 1941-1942. RAL 7027 Grau (Grey) and RAL 8020 Braun (Brown) usado entre 1942-1943. IDF AFV COLORS - AK Interactive RCS015 ESTE LOTE SE COMPONE DE: IDF Sinai Grey 1973. IDF Sinay Grey 1982. IDF Sinay Grey 1990.